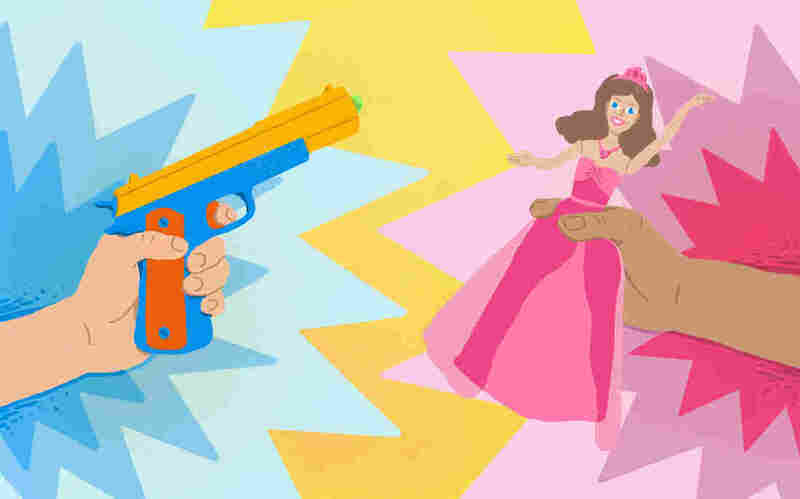 The Problem With Toy Guns And Princesses Whether it's mini-makeup kits, gross-smelling slime or semi-automatic foam-dart guns, every parent or caregiver has fielded requests for toys that they're just not that into. We talk about princesses and superheroes and their influence on kids with Rosemarie Truglio of Sesame Workshop and Lisa Dinella, a gender studies professor at Monmouth University. - Banning toys outright can be counterproductive. - Pay more attention to how kids play than what they're playing with. - Fight sexism in the playroom by broadening toy selections. - Talk directly to your kids about your values. - Join in your child's play to help expand the possibilities. - Grossed out? Use toilet toys as a chance to teach science — and manners. Whether it's mini-makeup kits, gross-smelling slime or semi-automatic foam-dart guns, every parent or caregiver has fielded requests for toys that they're just not that into. 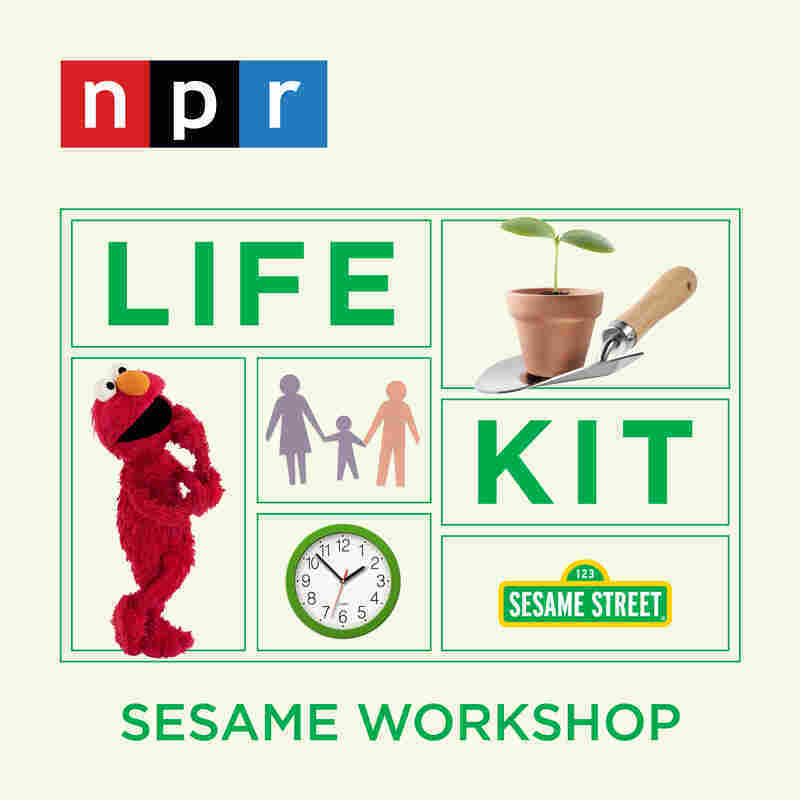 We talk about princesses, superheroes and their influence on kids with Rosemarie Truglio of Sesame Workshop and Lisa Dinella, a gender studies professor at Monmouth University. Banning toys outright can be counterproductive. Pay more attention to how kids play than what they're playing with. Fight sexism in the playroom by broadening toy selections. Talk directly to your kids about your values. Join in your child's play to help expand the possibilities. Grossed out? Use toilet toys as a chance to teach science — and manners. Watch the episode of Sesame Street in which Baby Bear plays with a doll here. Find Lisa Dinella's research here. She is co-editor with Erica S. Weisgram of the book Gender Typing of Children's Toys. Thanks to Steve Pasierb of the Toy Association, and the children who spoke with us for this episode at the National Building Museum in Washington, D.C.: Max King, Noah and Lucas Loremil, and Liam Rowold. Thanks to Rebecca Hains of Salem State University. Check out her book The Princess Problem. Thanks also to Peggy Orenstein, whose book, Cinderella Ate My Daughter, is another good resource. Finally, thanks to Jeffrey Trawick-Smith and Julia DeLapp at the Center for Early Childhood Education at Eastern Connecticut State University. Lots of resources about good toy choices and play on the center's web site.